The Legislature should find the money to pay for environmental testing at every public school. THE Bellevue School District announced last week that it found concerning levels of lead in the water from 72 public-school fixtures. Don’t slam Bellevue for poor water quality. It is one of the school districts that actually tests water inside its school buildings to see if it’s safe. Most Washington districts do not, because the state doesn’t pay for the tests and some cannot afford the extra expense. Bellevue was one of a few dozen school districts that conducted lead tests this year — for the first time in a long time — after lead was found in the water at some Tacoma schools. Childhood lead poisoning can lead to learning disabilities, decreased muscle and bone growth and other problems. Lead in water is only one possible source of exposure. Washington students’ health is protected unevenly. The state needs to find a way to cover the $45 million it would cost to do a series of environmental tests, including testing for lead, recommended by Washington’s Department of Health. The department made a rule in 2009 — when the state budget was reeling from the recession — calling for the environmental tests in schools, but decided it wouldn’t be enforced until the state paid for it. The children are still waiting for that money to materialize. 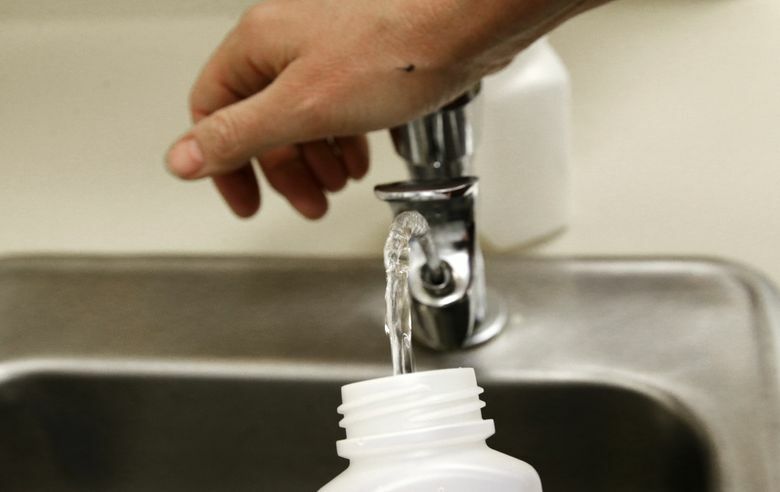 The Health Department estimated in 2009, that school water testing just for lead would cost up to $2,270 per school, or about $5 million for the entire system. Perhaps some money could be saved by doing more of the work in-house or through Washington’s Educational Service Districts. About a quarter of the districts that test their water have found levels of lead, between 15 and 20 parts per billion, that require action — depending on which guidelines are followed. Gov. Jay Inslee has asked the Department of Health to bring a proposal to the Legislature to pay for water testing when the session begins in January. Lawmakers should give this plan a high priority in their budgets. Parents and children should know that the water at all Washington public schools is safe — not just at the schools with plenty of local tax dollars to spend.